Finally found the right time to post, with pictures attached as well. And this time, its about food! 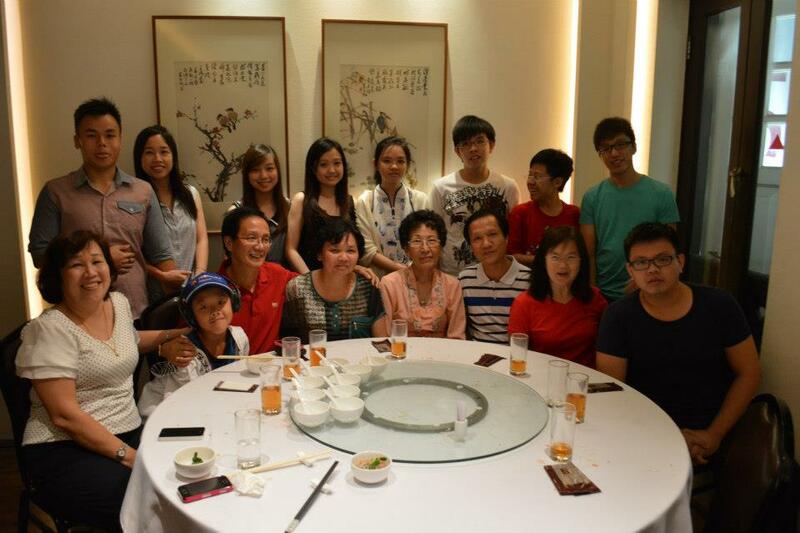 The history of Spring Court began in 1929, then known as Wing Choon Yuen. The last visit here was about 4-5 years ago, I supposed? A quick research on this place at www.hungrygowhere.com leads me to comments like crabs and the famous Peking Duck was the hot favourites there. 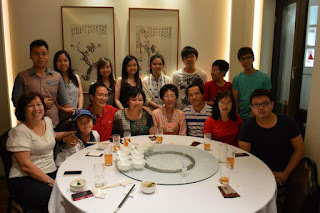 It was the first time I had a CNY reunion dinner with Yanjun's maternal side of the family. Such great extravagance was the event that a whopping 5 tables was booked for the dinner! 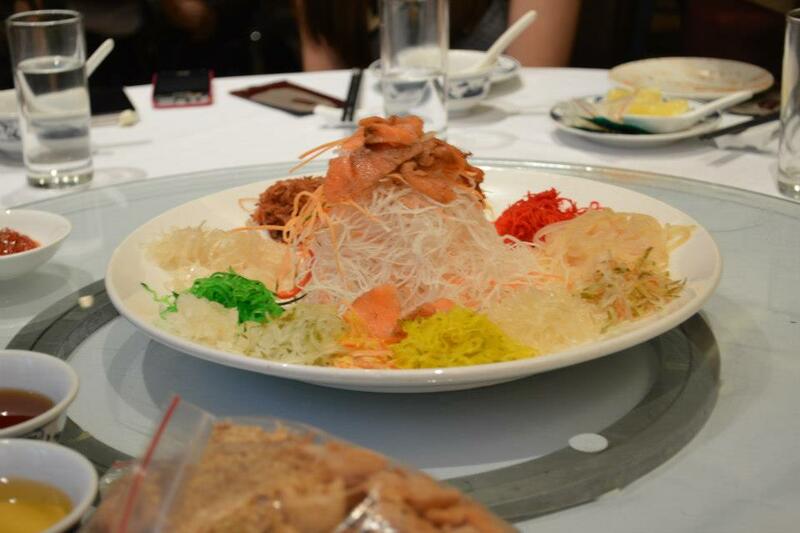 Fa Cai Yu-Sheng - a dish usually consumed during CNY, and is considered as a symbol of abundance, prosperity and vigour. It is usually tossed up with chopsticks by the individuals and ended off with a "HUAT AH!" to signify prosperity and fortune in the new year. Fried Prawns w/ Salted Egg - the first combination of its kind which I have eaten in my whole life. Unlike the usual cereal crumbs prawn, you cannot actually taste much of the salted egg in this dish. Therefore, for those who dislike the taste of salted eggs, fret not as the taste would not linger in your mouth. Longevity Noodles - the second last dish of the day. 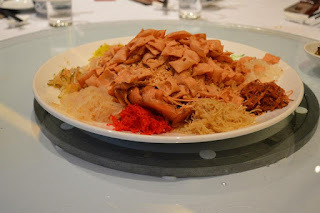 As the name goes, the Chinese tradition of having this noodles is to represent "long-life". Pulut Hitam w/ Gingko Nuts - Dessert for the day! Sorry the picture doesn't do it justice. Unlike the normal pulut hitam sold at hawker centres, this is more watery and only mild sweet, suiting the taste of the young and the old. Gingko nuts was soft and easy to chew, not bad for me though I don't like the taste of gingko nuts. Recommendations: This restaurant is really worth trying out. Price may be on the high side, but coupled with the ambience and the crowd, I suppose it's worth paying for. Food is fabulous and waiting time is less. Sometimes, before we could even finish the dish on the table, another dish has arrived. There is prompt refilling of drinks, making sure that we do not have to go thirsty. Service is considered to be okay, without any exceptional things worth mentioning.